We don’t know about you, but following a brilliant 2011 event we’re already anticipating our return to Zagreb. The Electronic Beats Festival is set to touch down in the city on October 26, 2012, with a line-up bristling with cutting edge acts. 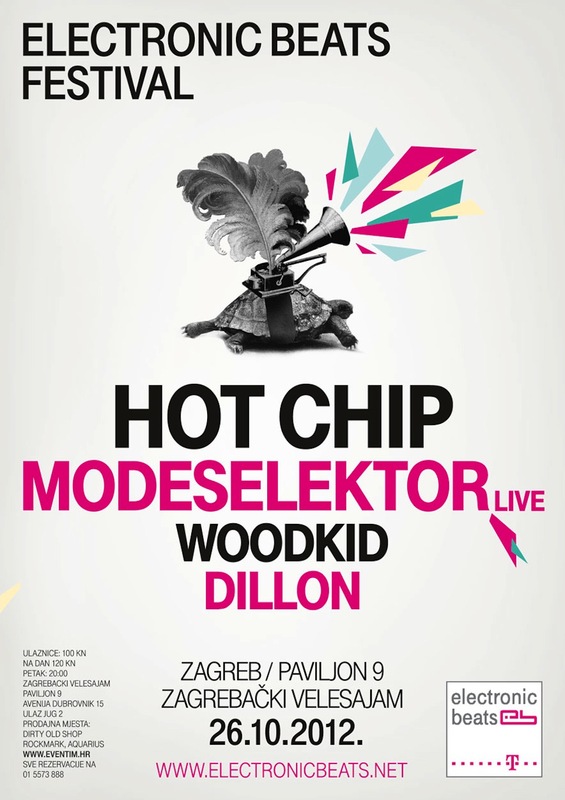 We can reveal that the headliners will be the mighty Hot Chip. Following the release of their slow burning fifth album In Our Heads earlier this year, we’re not kidding when we say we expect much from the doyens of electronic pop. Also on the bill are Modeselektor, who’ll be obliging us with a live set and ensuring that the festival will be a devoutly messy affair. Of course, Gernot Bronsert and Sebastian Szary have something of a track record at the Electronic Beats Festivals – you can see what happened when they played Prague in 2009 for yourself if your memories are less than crisp. Offering support is Gallic chamber pop savant and creative polymath Yoann Lemoine, aka Woodkid, and BPitch Control’s house songstress Dillon, neither of which should need any introduction by now. Woodkid’s ‘Run Boy Run’ continues along the rich, orchestral planes he defined with ‘Iron’. His excellent self-directed video is worth a look, too. The festival takes place on 26 October 2012 at the Paviljon 9th in Zagreb. Ticket are available here. RSVP on Facebook or Google+, and use the hashtag #ebfest12 on Twitter.